Der Artikel Miles Davis (1926-1991): Melbourne '88 wurde in den Warenkorb gelegt. 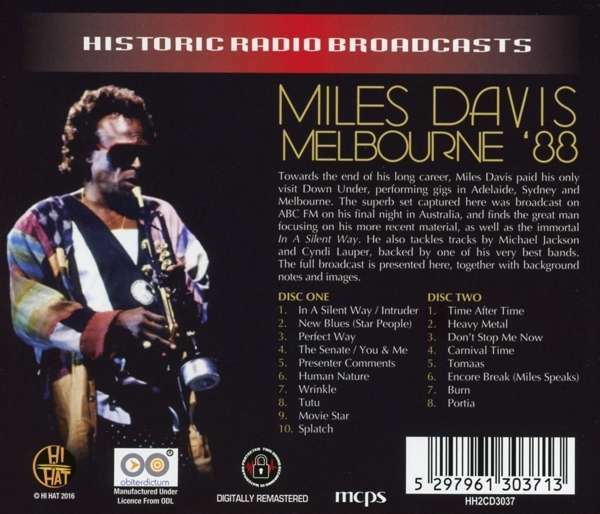 Towards the end of his long career, Miles Davis paid his only visit Down Under, performing gigs in Adelaide, Sydney and Melbourne. 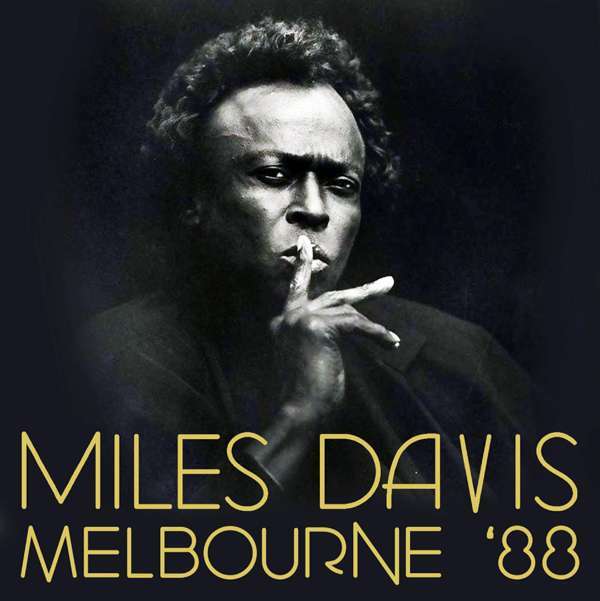 The superb set captured here was broadcast on ABC FM on his final night in Australia, and finds the great man focusing on his more recent material, as well as the immortal ›In A Silent Way‹. He also tackles tracks by Michael Jackson and Cyndi Lauper, backed by one of his very best bands. The full broadcast is presented here, together with background notes and images.